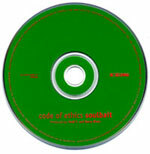 Code of Ethics has taken a brilliant step with the release of their latest project, Soulbait. Their style has changed considerably, shedding the old techno-influenced skin and taking on a more rock feel, while still managing to remain "Code of Ethics." A personal favorite off the album is the second track, "That Was Then." The song is driven by firm guitars and a memorable beat that propel lyrics that really hit home. The song encourages the listener to put their past behind them, no matter what others say or do, and to start over. Another highlight is the edgier "Shake Me," an anthem of sorts about accountability which has a sound reminiscent of "Hurricane" from the band's the previous 1995 release, Arms Around the World. Code does fail, however, to include some true ballads that existed on Arms Around..., but satisfy the listener with the soft sounds of songs like "Echo," and "Glory." So if you like rock, are a Code fan, and are maybe looking for something new, lend Soulbait an ear.